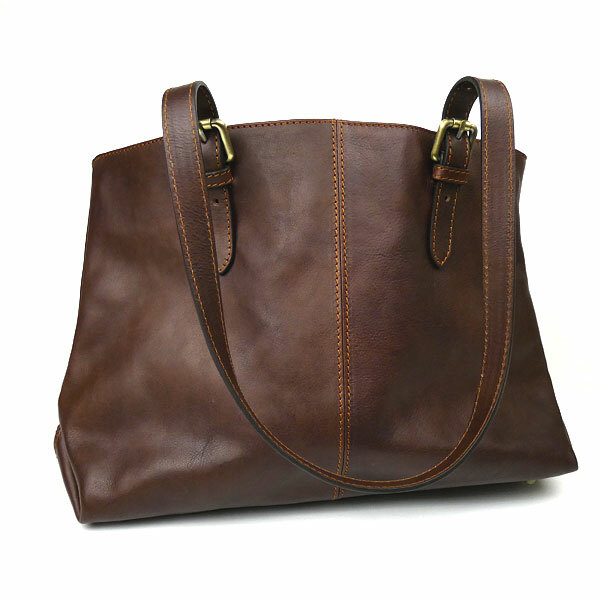 Lovely Italian leather shoulder bag, dyed to a dark chocolate colour using natural vegetable dyes. 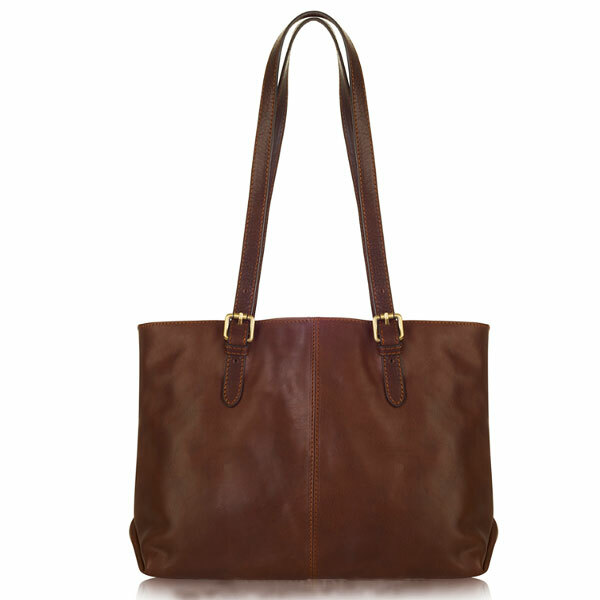 The bag has 2 straps which are attached, with stitching, on either side of the bag, with 2 decorative gold coloured buckles. The base of the bag, which is approx. 11mm x 37mm, has four gold coloured studs on which the bag stands. The bag, which is fully lined, is divided into 5 sections. There are 2 outer large, leather edged, lined, zipped pockets; then 2 open, lined areas. One of these compartments has 2 open pockets, one slightly large then the other. The other section has a large zipped pocket. 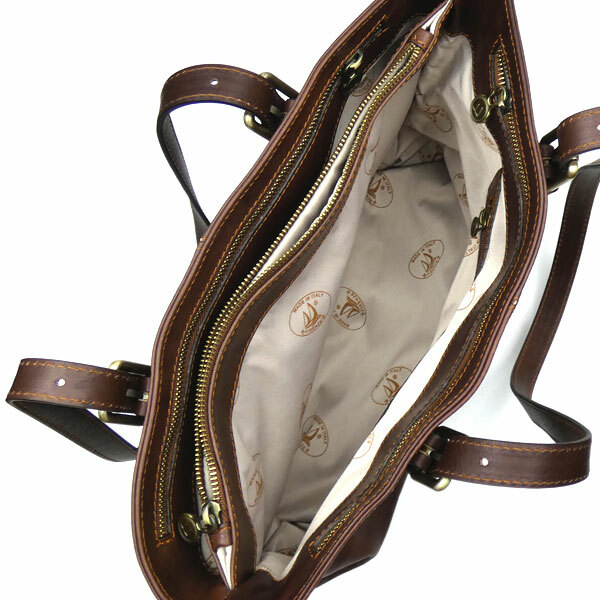 At the centre of the shoulder bag is the fifth section, a large, lined pocket with a zip closure. The pale beige lining of the 2 outer pockets is printed with the words: "Made in Italy, Firenze". On the leather of one of the pockets is embossed the words: "Genuine Leather, Made in Italy". The inner pocket of the shoulder bag is not over printed.